Signed, Limited and Open Edition Prints by Australian Artist Scott Jackson. Scott's paintings are very popular as Limited Edition Prints, Framed Prints and Matted Prints. Prices for Prints range from $25 to $350 depending on the size and whether the print is matted and or framed. Below are just some of the examples of images reproduced for Prints and Cards. Please contact Scott to discuss your needs. 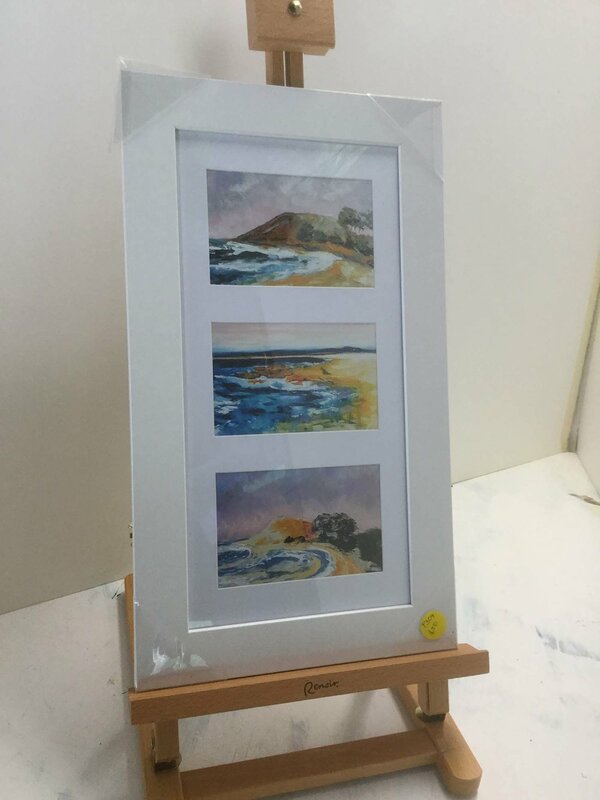 Crescent Head, South West Rocks and Hat Head Prints ….Ready to go now !! ﻿The prints below cover a variety of styles, prices and types : framed and matted, matted only (wrapped in cellophane ) and ready to be framed, photographic prints , various sizes and mat colours, 4x6 triple frame, 5x7, A4 and A3 Size, signed and limited edition , First Editions and multiple panoramics. See each image for more detail and prices. The pricing DOES NOT include postage. Given the small size of most of these prints they should all be able to be shipped by in Australia by Australia Post at minimal cost. 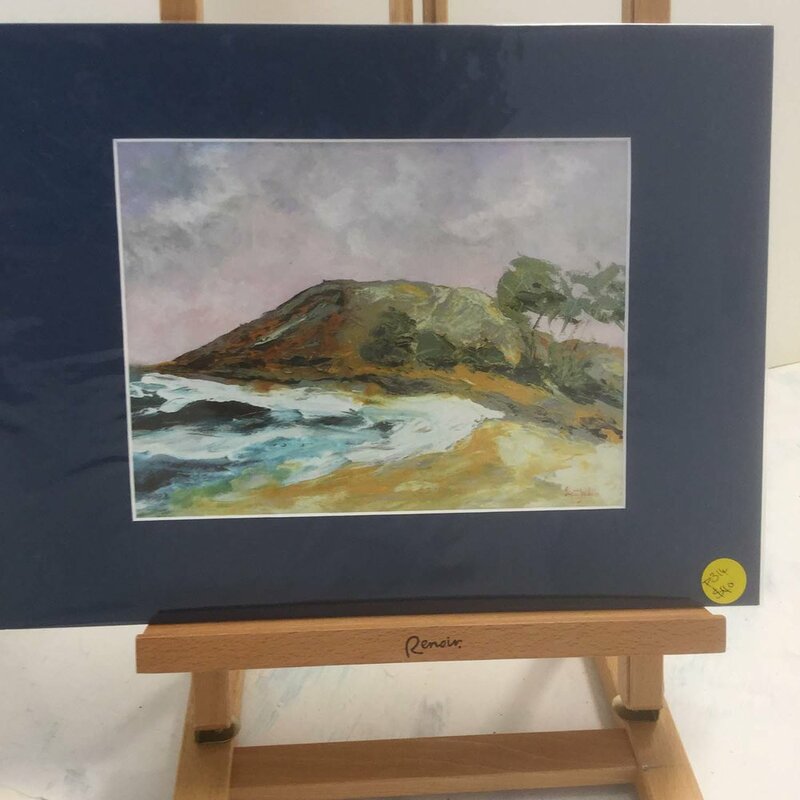 Storm Over The Bay, Trial bay , SWR, $70, First Edition , signed, 1/100, A4 size image, Pink Mat. Spirits of The Creek, Hat Head, (detail), $40, A4 photo print, P323, Epson Photographic paper, Dark Blue Mat. Looking South, Crescent Head, $90, First Edition, 1/400, A3 size image , signed, Cream mat.